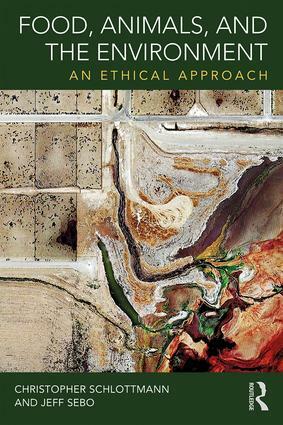 Food, Animals, and the Environment: An Ethical Approach examines some of the main impacts that agriculture has on humans, nonhumans, and the environment, as well as some of the main questions that these impacts raise for the ethics of food production, consumption, and activism. Agriculture is having a lasting effect on this planet. Some forms of agriculture are especially harmful. For example, industrial animal agriculture kills 100+ billion animals per year; consumes vast amounts of land, water, and energy; and produces vast amounts of waste, pollution, and greenhouse gas emissions. Other forms, such as local, organic, and plant-based food, have many benefits, but they also have many costs, especially at scale. These impacts raise difficult ethical questions. What do we owe animals, plants, species, and ecosystems? What do we owe people in other nations and future generations? What are the ethics of risk, uncertainty, and collective harm? What is the meaning and value of natural food in a world reshaped by human activity? What are the ethics of supporting harmful industries when less harmful alternatives are available? What are the ethics of resisting harmful industries through activism, advocacy, and philanthropy? The discussion ranges over cutting-edge topics such as effective altruism, abolition and regulation, revolution and reform, individual and structural change, single-issue and multi-issue activism, and legal and illegal activism. This unique and accessible text is ideal for teachers, students, and anyone else interested in serious examination of one of the most complex and important moral problems of our time.